FINNEAS provides a behind-the-scenes look at his creative process, talking us through his artistic approach and what he hopes music can achieve in the world. 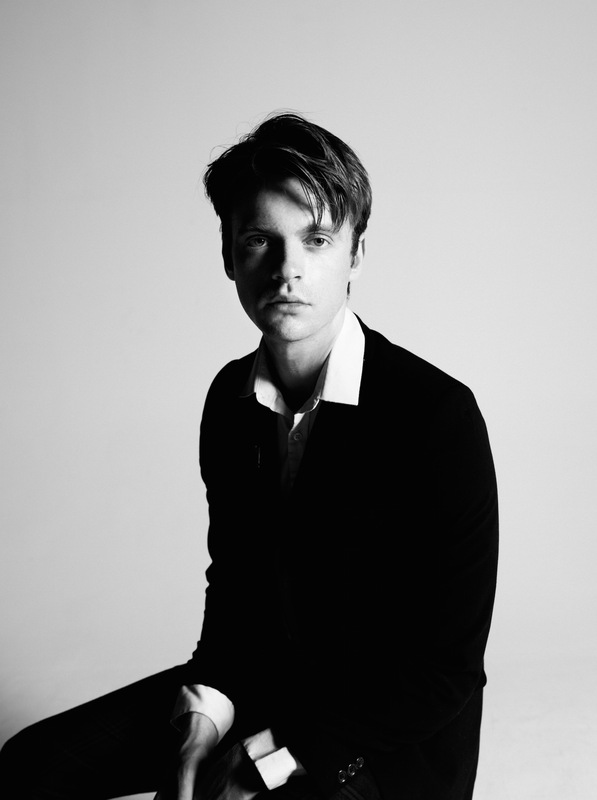 It is not an overstatement to say Finneas O’Connell masters the art of music. Unlike most, O’Connell comfortably wears many hats. As a songwriter, he uses honesty as his main driving force, either letting out his rawest emotions and turning them into songs for himself or becoming a musical chameleon, embodying the voice and spirit of artists he collaborates with or writes for, making sure every single second of a song feels truthful to whoever is singing it. As a producer, he knows exactly how to make a song fluorish. His sensibilities are always spot on, with O’Connell leaving his signature touch from genre to genre effortlessly, and allowing himself to be inspired by the most atypical of sounds, creating something original in the time where we think we’ve heard it all. Even when he steers towards what seems obvious, like incorporating sounds of a striking match on a song about lighting things on fire, he makes it feel natural and innovative, not for a second allowing the word cliché to be associated with his work. Music is the language he was born to speak. And under the moniker of FINNEAS, he reaches the pinnacle of his greatness. Atwood Magazine had the opportunity to speak to FINNEAS about his creative process, all the different shades of his music, collaborations, touring with sister Billie Eilish, and just how significant of a role music can play in the world. Atwood Magazine: Hi Finneas! How are you? FINNEAS: Hi! I’m great. I’m in Iowa City right now. FINNEAS: Really, really cold. We arrived yesterday, we have a show tonight. We arrived yesterday and it was like the first season of The Walking Dead when we got here, everybody gone (laughs). I saw you last week with Billie in Philly, you guys were so good! FINNEAS: Thank you, thanks for coming out! Philly crowds are really, really good. It’s funny that you can predict how a crowd is going to be regionally, but Philly’s awesome. Always one of the best cities on the East Coast. Speaking of tour, if I’m not wrong you’ve been on tour since the end of January and you’ve gone all over the place, like Australia, Singapore, Europe, the UK. FINNEAS: We did Singapore, then we went all over all over New Zealand and Australia for two weeks, then Europe for a little over two weeks then came back. The US portion is like one month and a half. I have two questions about this crazy world tour you’re on. I want to know what the experience is like, and also what has been your biggest takeaway from going to all these different places, playing to all these different people, connecting with all these different cultures. FINNEAS: The experience has been really wonderful and any day we don’t have a show we try to explore where we are as much as possible. The most notable days off we had were in New Zealand, where we got to go to where they filmed Lord of the Rings, got to go to glowworm caves. Then our second day off was in Amsterdam, which was really wonderful, it’s one of my favourite places in the world. Like if you’ve seen a picture of Amsterdam it all just looks like that, it looks beautiful and romantic. That’s kind of the only two days off we had across that leg. And then on this leg we had a day off in Toronto and we went and saw Lorde. The experience is about as far from vacation as travelling goes. We’ll get to a city like Brussels, Belgium and people will be like “How do you feel about the city?” but the only thing you do in that city is try to get a meal, try to get a good night’s sleep, then you go to the venue, set up, and make sure you put on a good show. It’s a minimalistic day-to-day lifestyle, which is sort of freeing in a way, we have a really defined purpose, which is put on a good show for whoever comes out to see us and make sure we get enough sleep to be energetic the next day for the next show. We have a lot of show days in a row for this tour, which you get used to much easier than you think you will, we’ve just had six show days in a row and one day off. It’s fun that way, your show gets really tight which is really good. So that’s the experience part. The takeaway to me, I think it’s just been super inspiring to see how far music can reach in today’s world, with the internet. There’s very few barriers, especially language wise, there’s no language barriers. We go to countries where most kids in the audience speak very little english and they sing along to every word. We go up to them afterwards and say hi, and they barely speak any english but they’re enjoying the music. That’s amazing. I just love that. I grew up in Brazil, so I know what that’s like, going to shows and seeing people screaming the words - and they don’t even know what they’re saying - but they’re just so into it. FINNEAS: Oh wow (laughs). We haven’t been to Brazil yet but it’s definitely one of the places we’re the most excited to go to. Obviously it’s such a vocal, enthusiastic audience. I don’t think anyone is prepared for what they get when they go to Brazil, it’s insane. FINNEAS: Yeah that’s what I’ve heard! Every person that’s been to Brazil for a show says it’s just madness. So, you’ve been living in a tour bus with your whole family for some time now, what’s the experience like? FINNEAS: The whole family, yeah. Mum and dad and Billie. We’re a pretty close knit family to begin with so that’s not really super new, we all still live in the same house at home. We get along really well so it’s been really nice. I would say that I’m a… I don’t know the right word, but I roll around when I sleep, I don’t lie still. Bunks are a little bit like coffins, they’re stacked on top of each other, there are three bunks, and I have to be on the bottom one because I’m afraid I’d fall out. It’s really sweet that you all tour together. FINNEAS: You know, Billie and I obviously are very close. We make music together and that’s been a wonderful part of our lives, but our parents also were both actors and theatre people. To make ends meet when we were growing up, my dad was a construction worker, my mum taught a lot of classes, but we’ve always been super close to our parents. I think even as far as the music we ended up listening to and why we’re so obsessed with music, is that our dad would make these mix CDs, so whenever we had to drive anywhere – like basketball or something, younger kid stuff – we’d listen to mix CDs that were like music that dad loved when he was growing up, and then music that he’d just discovered. So there was a really broad gamut of music that was current at the time, like a lot of Avril Lavigne, and then a lot of The Beatles. Amazing! Two of my favourites. So, your most recent single, “Heaven”, is so sultry and intimate. What was the inspiration behind that song, and especially production-wise why did you decide to go in that direction? FINNEAS: (laughs) Well, I think to me a lot of what I write is whatever I think about the most. A fair amount of my songs are about heartbreak and just sort of the deepness of losing love, breaking up with somebody, just that unrequited love. I wrote “Heaven” with my friend Dan Nigro, who’s a wonderful songwriter and producer. I wrote it during this period of my life when I was 18 and I was seeing a girl for the first time and we were just like out together in LA, often until 6am every night. My sleep schedule was like, I’d sleep from 6am to noon, we’d go to the beach and just wander around. It kind of fucked up my day to day life because I was exhausted all the time. I’d just come out of a long-term relationship and I didn’t feel like either of us knew each other very well, but we were spending a lot of time together and it was romantic in a slightly more dangerous way than I’d ever been involved in. Dan and I have written a bunch of songs together, I just love writing with Dan, it’s just one of those things like we stumbled across that chord progression – and it’s funny, writing songs is my favourite thing to do in the world but songwriting sessions can feel like a day job, and I woke up probably exhausted from being up all night and thought “I should maybe call and cancel today’s session” but then thought “You know what, I’m just going to go and we’re going to write a song about exactly how I’m feeling, be totally honest” and we ended up writing “Heaven”. I think we ended up writing the song in two or three hours. The way I write in general, and I think the way Dan writes too but I don’t want to speak for him, like there are a lot of people in hip hop who are making beats at the same time as the song is being made or a week before the song is made. The top line ends up being the last piece. In my case I like to do the reverse, I like to write a song in the piano or the guitar and have it completely done, and then build the production after. In that case, it’s exactly what Dan and I did. We wrote “Heaven” with a piano and guitar in the room, and recorded the piano and guitar, maybe a vocal or two, and then we came back to it a week later and I built all the drums into it and Dan layered these super crunchy synths and I remember it really starting to take shape and feel like something that I could put my name on. You've said “Break My Heart Again” has lyrics that are lifted right off text message conversations? FINNEAS: (laughs) Yeah, I think everything except the chorus and bridge are my own text conversations. The first verse in particular was two days after my birthday in 2016, when I turned 19, and I texted my then girlfriend like “Hey, I’m getting off work, do you want to get dinner or something?” and she was in a mood and was like “Well I’ll see if I have anything going on” and I could just tell that she probably had nothing going on and didn’t want to have dinner. That’s okay if you don’t want to do it!. I remember driving from LA, from the valley, to my house and my whole chorus came to me. There’s something about the chorus that sounds passive aggressive but I wrote it in a very accepting way, like I did this, I loved this person a long time ago and it didn’t work out and it was heartbreaking, and I let myself fall in love with them and start the whole thing back up and I’m sure it’ll end the same way and I can’t believe I did this. It was just an accepting of misfortune. Were you worried about putting the conversations in the lyrics and making it so true to your life? FINNEAS: Yeah. Any time I’m worried about a song I feel like I have to put it out (laughs). Any time I get really scared of a thing I’m like “You know what? This is probably what I should be putting out.” I think sometimes people try to take their own songs and think like “This one is good” but you can’t really quantify that. I just try to listen to my music and think like “Is this honest? Do I really feel this? Can I really perform this every show and mean every word of it and also is it so honest that I’m a little worried about it?” And in the case of that song I did play it for the girl I wrote it about in person way before it came out. I just sat and played it for her. Well yeah, that’s very considerate of you but that takes guts. So you just made it beautiful instead of making it into a fight! Amazing. FINNEAS: Right! It rhymes instead of us yelling at each other. Talk me through what it’s like to spend a day in the studio with you. FINNEAS: Well my favourite place to record is my bedroom, at home. I just have a lot of fun in there creating ideas. I have a really old piano in my bedroom that was my grandfather’s originally and when he died I inherited it. But yeah it’s this really warm piano and I’ll just stay there for hours writing, on the piano or the guitar. The best part about having everything in my room is that as soon as I’ve written something I’m excited about I can just turn my microphone on and record it. In particular “I’m in Love Without You” and “New Girl,” and “Break my Heart Again” to some degree, they were all these songs that from the moment I started writing them to the time I recorded them it was a short period of time because I usually get obsessed with things like that and normally whatever else I had planned for that day goes out the window, if I feel like I have an idea I have to finish. As far as sonics go, my favourite thing to record are interesting surround sounds, I love going into our backyard and I’ll record a stick falling from a tree and I’ll process that and turn it into a snare drum. I just think when you build your own sound it’s a very fast way to make your music feel very unique, one of the things that’s hardest in today’s world is that every kid has access to their computer that has Logic Pro or Ableton and a lot of people are given the same sounds from the get go, I think people fall back on those. Everybody has this sound, so you might as well try to create your own. That’s really funny because you answered my next question! I was about to ask, “Break My Heart Again” uses the sound of text messages, and Billie’s “watch” uses the sound of striking matches. I was about to ask what makes you take these unusual sounds into the studio and use them. FINNEAS: I think in both cases you just mentioned they help illustrate the song. “watch” is about setting something on fire, so I incorporated the sound of matches into it, and “Break My Heart Again” is – well you don’t have to know that song is text speak to enjoy it but I thought it would be an interesting thing to put in the song so who listens to it realises we’re sending and receiving messages this whole time, then you hear it like I felt it and it might make you hear the song differently. How is the experience any different when you’re writing a song for yourself versus when you’re writing with/for Billie and other artists? You collaborated with Wafia for “The Ending”, and I love that song! How did that collaboration come about? FINNEAS: I did, yeah! Well I think Wafia is incredible, she’s just a wonderful person and wonderful songwriter and has such an interesting story and background in music. The day that I met her we were in a studio at my publishing company Kobalt’s office. We were just talking and listening to a bunch of songs like Ne-Yo and just jamming out, there was a piano in the room and whatever but we’d never met each other and we only had 5 or 6 hours together. I just wanted to get to know her, because I didn’t feel like I could write a song about a person I didn’t know at all. We talked for a while and it was really clear that she was really funny and really interesting and really cool, and I remember asking her “The favourite song you’ve ever written, did you write that with other people or did you write it alone?” and she said “I wrote it alone” and I was like “That’s great, now the pressure’s off for today, we can just enjoy each other’s company and we don’t have to write a song that you’re going to love and wear forever, we can just hang out.” And we talked for a couple more hours, and there’s a really sick Thai place down the street from where we were so I got Thai food, brought it back. She was literally flying back to Australia that night, and that’s a long flight, but I think she was very excited because she was going to get to go home and see mum and her family. And we were just hanging out and I started playing the piano in the tiny recording studio we were in, and the chorus that ended up being “The Ending” came out and we came up with that first line. The song just flew out in the last hour and a half of us being there and we kept different parts of it, like we finished the first verse and thought “I like this, lets record it and figure it out” so we kept pushing each other to finish each part before we’d have to leave the studio that night. One of the things that we related to on an interesting level is that I grew up singing in church choirs a lot, and she grew up singing a lot of prayer music, and the interesting thing about hymns and old prayers is that they have these refrains in the chorus, usually just a line or two and involved God, and she talked about how in Western music and pop music there isn’t really music with a sentiment like that per chorus. Just like this refrain and longing. The sentence “Oh God,” it’s woeful, if you say it it means something heavy’s happened and you’re thinking about it. And I loved her choice to make that the hook of the song, just that repetition. And she has the most beautiful melody to it, it was a really fun process. But again, it was a really fast writing process and produced the whole thing around it over the course of the next month. You’re a songwriter, producer, you’ve acted as well. How would you describe yourself as an artist? FINNEAS: How do I describe myself as an artist? Let me think. It’s hard to come up with these things for yourself and not feel pretentious. A friend of mine Justin Raisen who’s one of my favourite writers and people, he produced and wrote most of the Sky Ferreira music and produced My Woman by Angel Olsen, he listened to a bunch of my music and called my stuff dark crooner. Crooner like Sinatra and it just has this sonic darkness. Again, I feel like if I call myself a “dark crooner” there’s a pretentiousness to that, but for him to call me that was very flattering and significant because I grew up listening to and loving Frank Sinatra and that whole world. I wanted to talk to you about your artwork, since every artwork of yours seems very specifically made, and yet they’re all so different. How do you pick them? FINNEAS: So I work with a friend of mine Luke, who goes under the moniker Avis Designs. I was just a fan of his when I discovered him, he’d done some cover art for the artist Blackbear that I really liked, and I just DMed him on Instagram like “I really like your artwork.” And we started talking and he listened to my music, which was really sweet, and I said to him that this year I want to put out songs all years, singles. Part of the reason why I wanted to put out singles was that I wanted them to be able to have their own artwork and own sort of colour and shapes. I’d just send him songs and we’d brainstorm ideas and I just really trust his sensibilities and vision, and I think he really understands mine in the first place. He’s very detailed, you know, just down to like the lettering shape on the F in my name. It’s really cool working with him. What we usually do is that I’ll send him the song and he’ll send me back the first thing that pops into his head, and I’d say that nine times out of ten we run with that because it’s queer, makes sense to him and makes sense to me. It’s just been a really cool process. One of the things we’ve both settled on is that I really don’t want to have artwork that’s just a picture of my face on the cover. If I’m going to be involved in a piece of artwork I want it to be a scene and I want it to make sense. I’m not opposed to being involved, I just didn’t want the artwork to be wasted on a picture of me. Artwork can be cooler than just a picture of a person. It’s been really fun to watch him create artwork that’s evocative and can bring songs to life. I think it’s really cool that your face isn’t necessarily on every artwork of yours because your songs are so personal, your music is so heartfelt, that it’s a really cool contrast to not know what the artist looks like when you click play but feeling like you know them by the end of the song. FINNEAS: Well thank you! That’s the nicest thing anyone’s ever said about my artwork, that’s really nice. Aw, I’m glad! I love artwork, I’m normally really critical of them. FINNEAS: Oh, me too. I’m obsessed with artwork. I totally agree. Part of the reason why I wanted to put out singles this year is that sometimes you put a piece of artwork [on an album] that can make sense to one of the songs on the album but it just totally clashes with some other song on the album and you look at the same artwork for all of the songs. Until I have a body of work that I feel really cohesively fits with the artwork. I really enjoy playing with the artwork and giving each song a different life. Also, shoutout to your sister because her artwork is so good. FINNEAS: Oh her artwork is so good. You have her to thank for that, her vision for her artwork and aesthetic is so strong and so clear. I’ve never met anyone who’s had this clear a vision for how they want their aesthetic to look as Billie, she just knows exactly what she wants. I feel like all your songs have shown us different sides of you. “Heaven” is sultry, “Break My Heart Again” is a really sentimental ballad, “New Girl” is very poppy and happy, and “I’m in Love Without You” is just completely different from everything else. Which FINNEAS are we going to meet next? FINNEAS: My hope is that as the songs come out and as the sort of differences collide that it starts to… I think of it a little bit like, you know those pictures that are made up of a lot of different pictures that are really tiny? And the colour shades just stay in the picture. I feel like you see this in Disneyland a lot, if you look way into a hundred different pictures of different families and you zoom out and it’s a picture of the Golden Gate Bridge or something. My hope is that eventually it will all just contextualise itself. From the perspective of a live performer, I want to put out music with enough dynamic that it will make a very interesting live show. So I think when you release your anthology of biggest hits in like fifty years you’re contractually obliged to make all of your artwork come together and turn into just one big photo of you. FINNEAS: (laughs) And I’ll send special thanks to you for that. I’ll shout you out. Thank you! I’ll hold you to it. Okay last question. You’re very involved in lots of areas of your, and other’s music, it feels like you live and breathe it - and love doing so. What is it about music that makes it so special and worthwhile to you? FINNEAS: True. I think that from a very selfish standpoint I’m wholeheartedly obsessed with music and I just spend every minute I can listening to music, thinking about it, figuring out how things are made, going to see concerts, reading interviews with artists. I’m just obsessed with it. And I think on a more global level, the idea that you can say something that other people can receive and contextualise themselves better and point to the song to how they’re feeling and let it articulate how they’re feeling is a really wonderful thing and I’ve definitely had that happen to me a ton of times in my life. I’ll find a song that I’ll go “This is it, this is what I’m feeling right now” and if anyone asks how I’m feeling, that song is how I’m feeling. If you can use songs as a tool, vehicle for empathy and a deeper understanding of how people are feeling and how people’s emotions work, there’s a lot of good that can come from that.